Do you have old photographs that you would like to preserve? Maybe they need to be repaired or enhanced? Find an old roll of film? Need an X Ray, scanned? VHS tapes that you can’t watch any more? Need to make a photo slide show for an upcoming special event? Accidentally erased all the photos on your digital camera card? 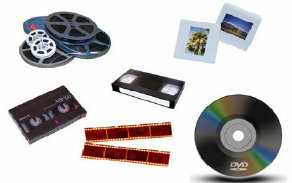 Need to scan a box full of photos,slides or negatives to share with family members? Well you have come to the right place we can help you with any of these projects and more!